I ordered a copy of the “As If, And What?” DVD a week or so ago and have been eagerly awaiting its arrival. Great job Jenna! Really motivating to see all the new girls from the UK. 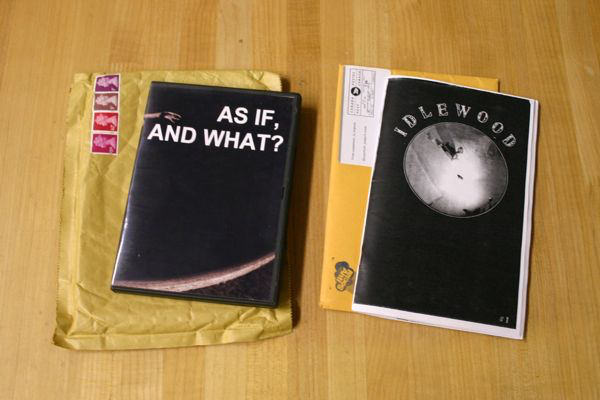 Also in my PO Box was a mystery package from my friends at Anti-Social containing Issue #1 of a girls skate zine called “Idlewood”. More good stuff! I will get info on this and post soon.